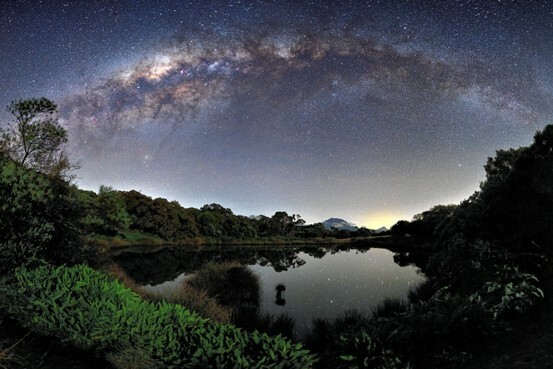 Milky Way over Piton de l'Eau. Photo by Luc Perrot. Sometimes, if you wait long enough for a clear and moonless night, the stars will come out with a vengeance. 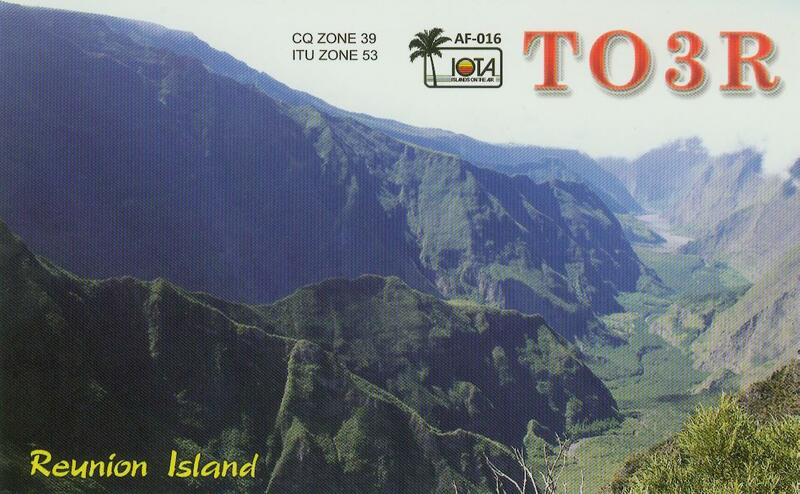 One such occasion occurred earlier this month at the Piton de l'Eau on Reunion Island. In the foreground, surrounded by bushes and trees, lies a water filled volcanic crater serenely reflecting starlight. A careful inspection near the image center will locate Piton des Neiges, the highest peak on the island, situated several kilometers away. In the background, high above the lake, shines the light of hundreds of stars, most of which are within 100 light years, right in our stellar neighborhood. Far in the distance, arching majestically overhead, is the central band of our home Milky Way Galaxy, shining by the light of millions of stars each located typically thousands of light years away. The astrophotographer reports waiting for nearly two years for the sky and clouds to be just right to get the above shot.